Learn how to enable the Developer Dashboard, how to use the APIs to display its Tracing info and how to display the rendering results of your page graphically. When developing solutions, developers have the concern to deliver functional solutions that conform to the requested requirements. Although I always analyse the performance of my applications, most of the business solutions that I have worked performance is not a critical factor. 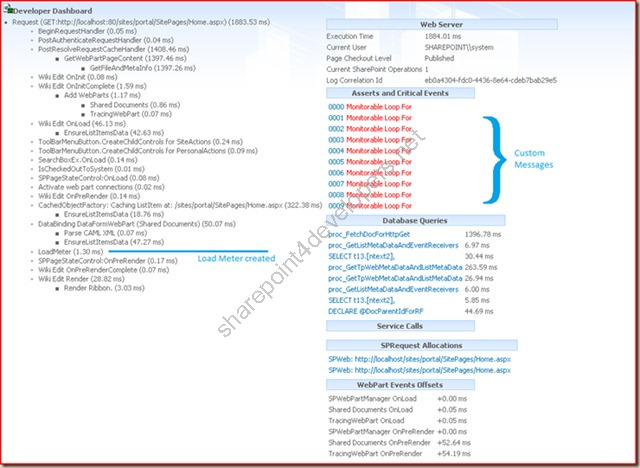 Depending on the scenario, what if performance is a requirement? 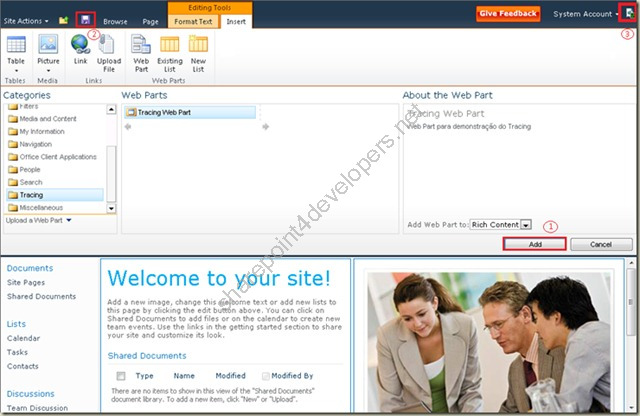 How to get diagnostic information from your solutions in SharePoint 2010? 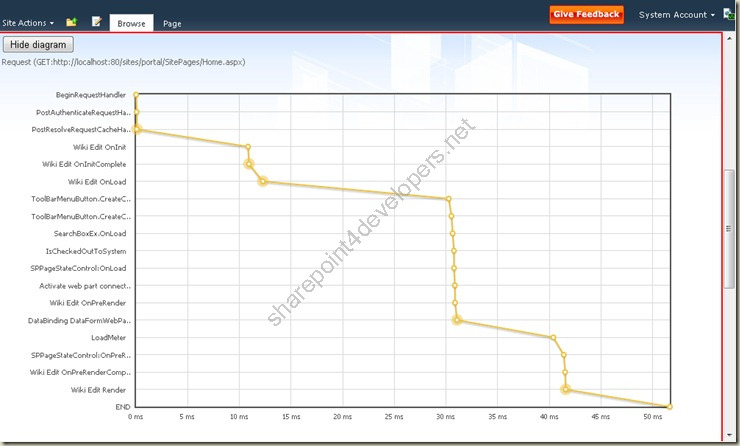 Precisely now there is the Developer Dashboard that brings a dashboard of tracing info. 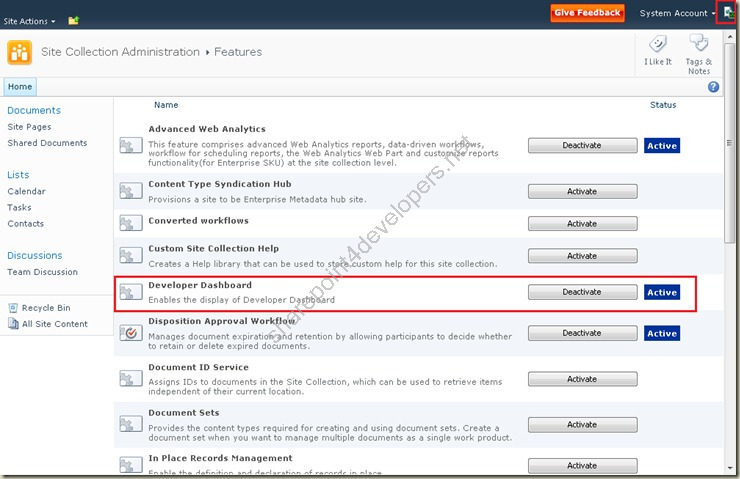 In this article I will show how to enable the Developer Dashboard, how to use the APIs to display its Tracing info and how to display the rendering results of your page graphically. Note: Note that the dashboard border is green, because neither asserts nor critical events are displayed. 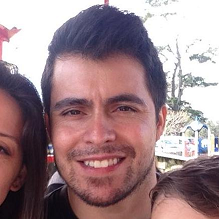 I'll talk about the color changes later in this post. 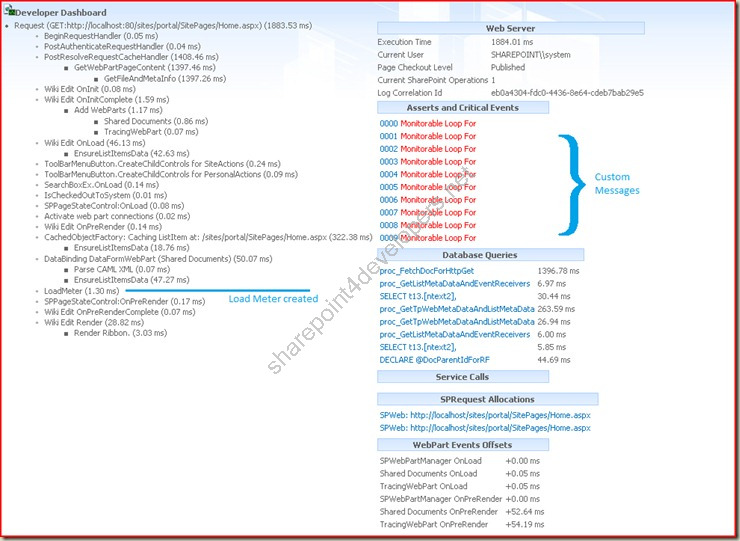 The left side shows the http handler events executed during the page rendering and their execution times, whilst in the right side a mix of comprehensive information and also details of the request can be found, such as the queries sent to database. Once this is not unknown anymore for you, let's check what matters. "OnDemand" - adds an icon to the page, which allows the visualization of the dashboard only when clicked (toggling between On and Off). 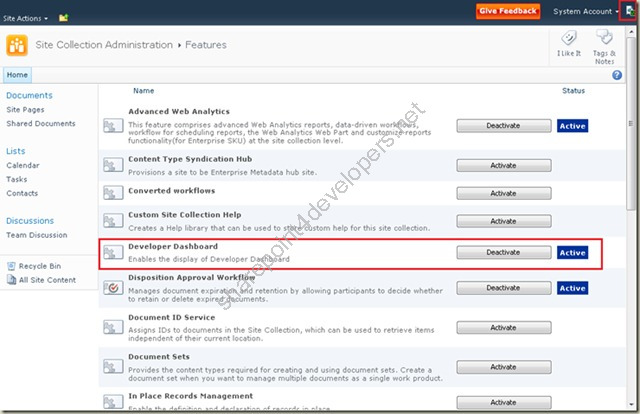 NOTE: It is important to note that when the Dashboard is enabled using OnDemand, only Administrators and Site Collection Owners have access to it. Members and visitors will not see the icon. In this post the Developer Dashboard will be displayed using the display level "OnDemand", which in my point of view is the ideal. 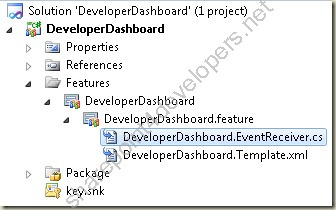 A Feature that enables or disables the dashboard can be created, instead of using scripts for that. 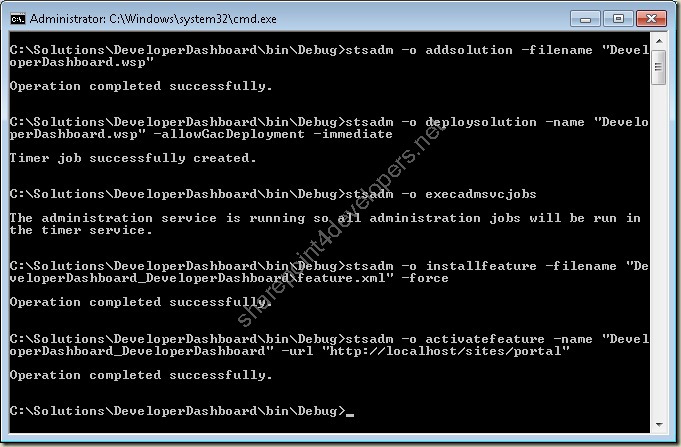 This way the activation or deactivation can be done directly through the Site Collection Features page. 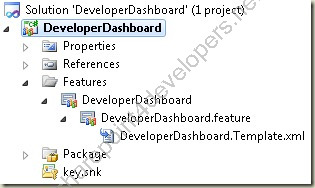 Figure 8 - Deploy of the Feature "Developer Dashboard"
NOTE: The option-pv is case-sensitive. 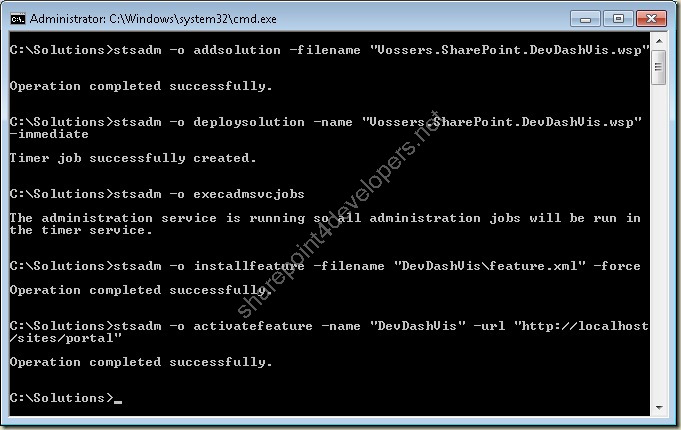 Another possibility is to use PowerShell for running scripts. Once the Developer Dashboard is active, we can proceed with the addition of Tracing messages in SharePoint 2010. As already said this is an excellent way to measure the performance of code and add custom messages for tracking. In order to measure the time of the code snippet that we intend to track, the class SPMonitoredScope should be used. This information will be available on the left side of the Dashboard. 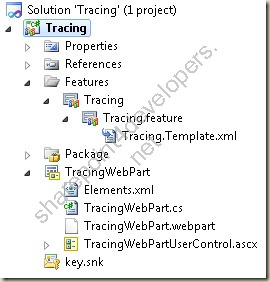 In order to add log messages, warnings or assert messages, the class SPCriticalTraceCounter should be used. This information will be available on the right side of the dashboard, and a link will be available to visualize the message details. 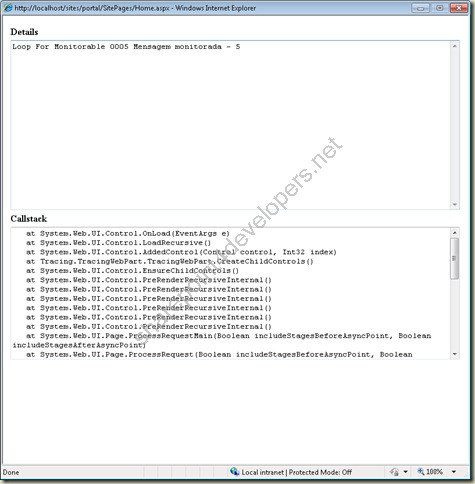 NOTE: The callstack, which is in the message details, can add a few Kb on the page. Thus track the growth of the amount of custom messages that you have, they will increase the size (Kb) of your page if the Developer Dashboard is enabled. We can improve the Dashboard with a graphic display called Developer Dashboard Visualizer, which was created by Jaap Vossers and consists of a UserControl that makes use of JQuery to view the axis Events x Execution time (left side of the Developer Dashboard). 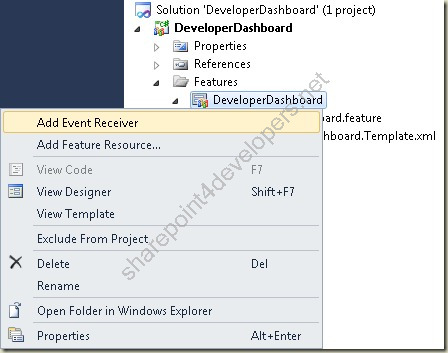 In this article we checked how to enable the SharePoint 2010 Developer Dashboard. 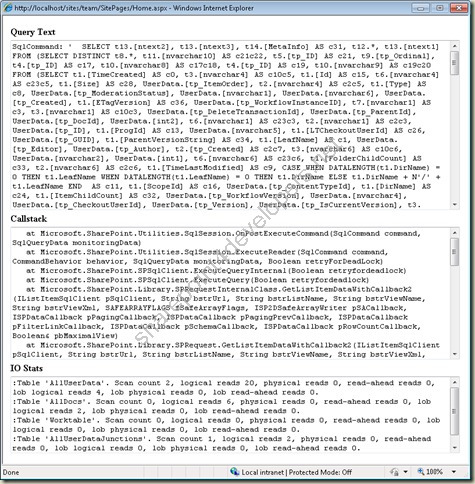 We have checked that diagnostic information and tracing messages are output on the page to the browser that made the request. 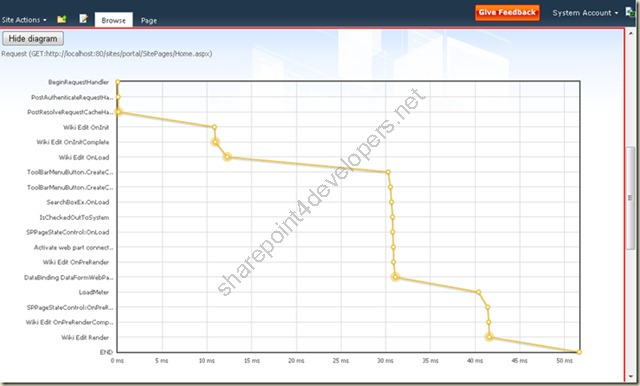 Such information may help to clarify errors or undesired results during the processing of your solution in SharePoint 2010.